Phoenix Suns power forward Amar'e Stoudemire has posed shirtless for a new anti-fur ad from PETA. 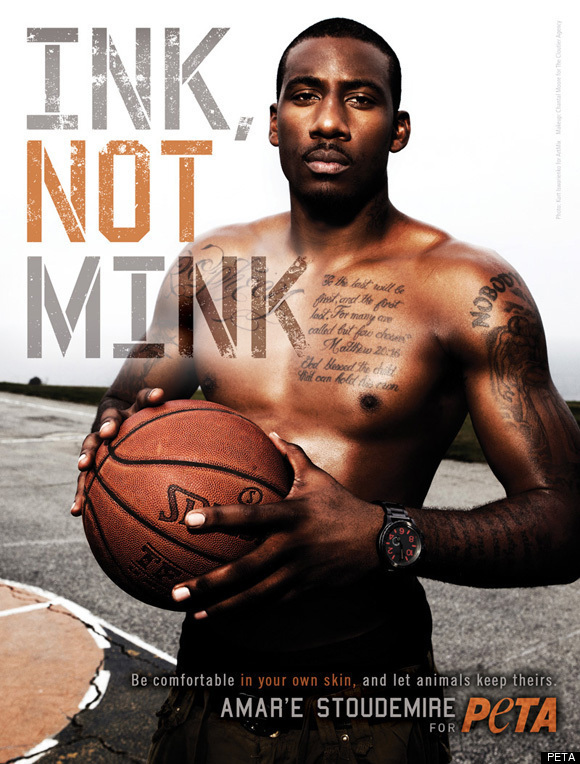 Stoudemire's exposed chest and arms showcase his array of tattoos, accompanied by the ad text, "INK, NOT MINK." At the bottom, the ad reads, "Be comfortable in your own skin, and let animals keep theirs." At PETA's web site, the Suns star says, "I wouldn't want to see anything cruel ... happen to any animals just for ... fashion." The site also has a video that includes footage of Stoudemire shooting hoops shirtless.